The man behind me in the theater coughed through the whole performance. If you cough, it may help you clear your throat. 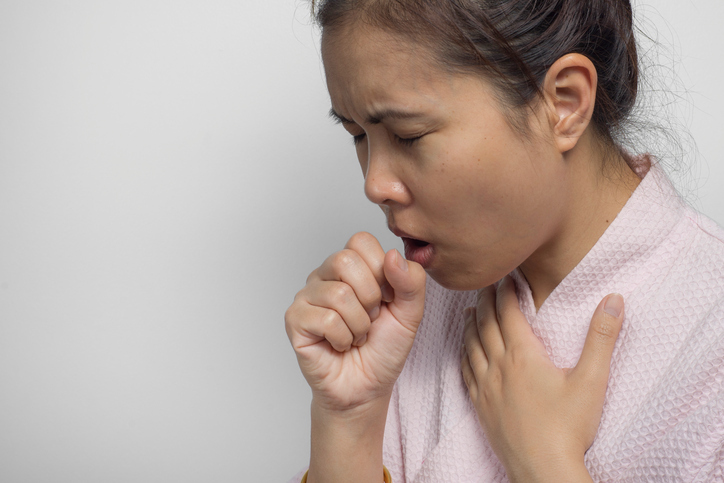 A cough is the illness characterized by coughing. Ashley stayed home from school with a cough and a sore throat. The baby was awake all night with a cough. There are other meanings of cough.